This is the 100th post on Gas Lantern, and I wish I was writing about something happier. 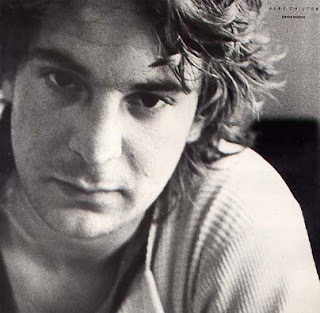 Yesterday, at age 59, Alex Chilton formerly of Big Star and The Boxtops passed away. He was never a big name, never achieved arguably deserved stardom, but he was responsible for some of the greatest and influential blues/rock songs of the '60s and '70s. The Boxtops had their famous hit "The Letter," which I remember listening to on car rides with my parents when I was a child, specifically as the relieving good song on the radio driving from Dulles Airport up to my grandparents house in Delaware. Chilton then moved on to join with Chris Bell in Big Star, composing several legitimate handfuls of pop perfection. From their debut #1 Record we were graced with "The Ballad of El Goodo," "In The Street" (later the theme for That '70s Show as covered by Cheap Trick) and "Thirteen," one of the most beautiful, honest and simple love songs ever (covered numerous times, and famously by Elliott Smith). Beyond even those bigger name songs, Big Star graced listeners with three near-perfect albums before disbanding. Big Star's music, the combined genius of Chilton and Bell (now both, sadly gone from this world) influenced R.E.M., Wilco, Matthew Sweet, The Replacements and surely a litany of other great bands of greater acclaim. And Big Star influenced me. My band, a short-lived foursome in 2005 - 2006, covered Big Star's "The Ballad of El Goodo" and their albums provided me strength during a tough time in my life. "Watch the Sunrise" from #1 Record particularly reminds me of a night that the combination of good times, consoling times and confusing times never lead me to bed. Instead, I sat on the floor of my apartment, next to the sliding door of my porch and listened to the song as the sun came up through the cool, damp summer air. It was one of purest, satisfied and peaceful moments of my life. And while nature surely played a part, hearing Chilton's music and feeling its inherent comfort for the lost, loving and existentially-in-crisis. The layers to these songs, creating an elegant musical tapestry, but also a divinely sincere network of real emotions make them timeless. Alex Chilton's contribution to music will never be forgotten. I just wish that he had received the admiration he deserved while he was alive. Rest in peace, Mr. Chilton. Now you can watch the sunrise from an infinite vantage point. There will be a more celebratory post commemorating 100, or at least 101, next time. Go listen to Big Star, please.